I'd kill to go to Hong Kong again! You are very lucky! I guess it really depends what kind of beauty products you want. I actually made a list of stores I want to go to and found the exact addresses. Except if I go to the stores, I have to pay the retail price which is a con. My brother stayed at Langham hotel which I think is also attached to the mall? He said it was very nice and roomy for his wife and 2 year old daughter. It's a bit pricey there but it's a safer side of town, downside is that there isn't a nearby metro station. Also, there's the Nathan Hotel which is cheaper but less spacious than an American hotel but it is decent. Nice eyeliner! The color sounds like it's a good color to have. 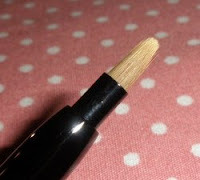 Do you know if it is like the Bobbi Brown gel liner in that it's waterproof? How is the staying power compared to Bobbi Brown/MAC??? 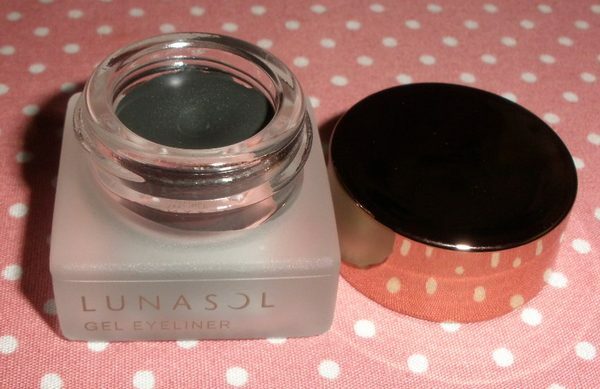 $30+ is a little much for gel liner... even for the higher end lol! Sorry Kathi, I just read through your post much more carefully and found that you did write that it is waterproof. I have been eyeing the Lunasol gel liner, it looks sooo pretty! So lucky to go to HK! I come from there but haven't been back in a while. I heard that lately the cosmetics are a bit hard to find and they don't stock the full collection all the time. Visee is rather exi in HK but I think if you go to the department stores and around Causeway Bay you would have more luck with cosmetics. In terms of clothes shopping I loved kwai fong, jordan road, tsim sa tsui and Mongkok. There are just so many places to go to and each place is just awesome! Sorry I can't give you more specific ideas but I guess those are places to start.. Muji, Jusco, and Sogo is awesome as well for those everyday stuff! I don't have a clue about accomodation because I always stay with my rellies >< Miss HK so much! If you get any hotel Kowloon side or Hong Kong side you;ll be fine. Upmarket is harbour front (Tsim Sha Tsui - Kowloon, or on the Hong Kong side that would be Central, Admiralty (both central business districts) and Causewaybay (HK side) and Mong Kok (Kowloon side) are the big shopping areas. Whilst I know people who've also stayed in Panda Hotel, it is relatively far off. The subway system in HK is amazing so getting around is not a problem. Makeup wise any of the big malls have most if not all the brands Faces in Harbour centre is one of the big ones, you can also checkout langham place Mong kok. if you want harbour views at lower prices with a more local feel try "sheung wan" / "sai wan" aka western district. It's connected to central by subway and trams. you'll also love the drugstores here ": watsons in particular with MJ etc. The best watsons for make is the one in causewaybay it even has k-palette, granesbon (rare in HK). 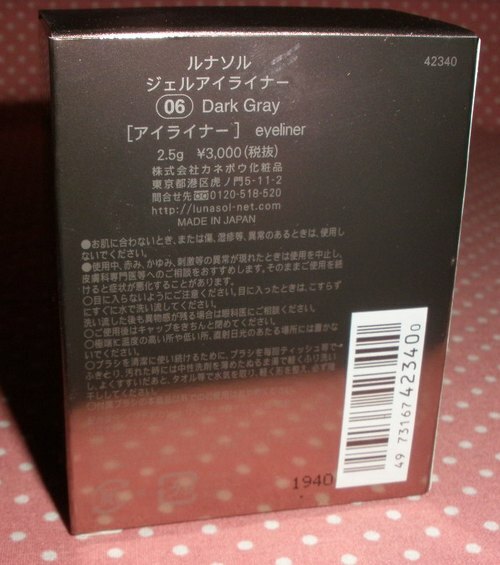 U can also check out some smaller japanese brands e.g. sana in citysuper /log-on(upper scale grocery and japanese life-style store). btw, HK has one of the lowest crime rates for an world city, so the main difference between more expensive and cheaper hotel areas is that the cheaper area's have a more local / chinese feel (and are more interesting / less sterile) so feel free to explore! 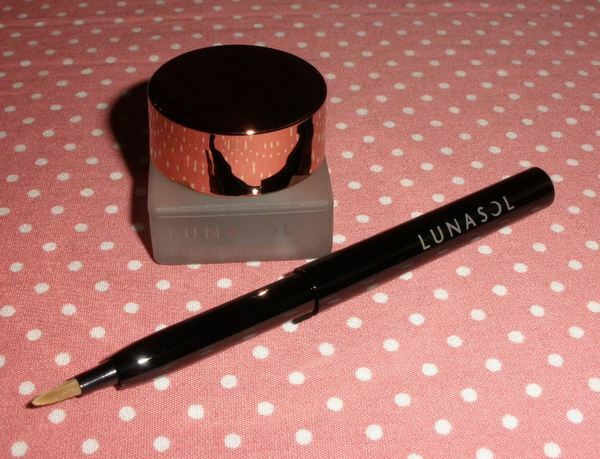 I was using both Coffret D'or and Kate liquid liners, I think I'm going to try this one by Lunasol. HK is a wonderful place, when we last went there we stayed at Metropark Wanchai, but if you want to stay near a shopping district there's a Metropark Hotel at Causeway, and it's literally just 2 minutes from the MTR and a couple of minutes walk to Times Square and Sogo it's a shoppers paradise! If you're looking for luxury brands then you can go to Pacific place at Admiralty, IFC mall at Central, Harbour City at Tsim Sha Tsui There's also a nice store at Shun Tak Center w/ is over the Sheung Wan MTR station that sells mostly Japanese cosmetics. 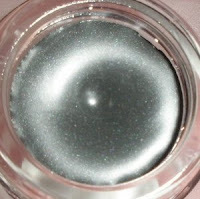 The color of the gel liner looks really nice. I was in HK early this year. You're going to shop till you drop!! It's a shopping paradise. Sasa is almost in every corner you turn. Harbour City is a great place to shop. I think that's my favourite place in HK... I found all the brands I like there. My wallet wasn't so happy but I couldn't care less about that! We were staying in North Point because it's near to my husband's client's office. If I still remember well, the hotel where we stayed is called City Garden Hotel. 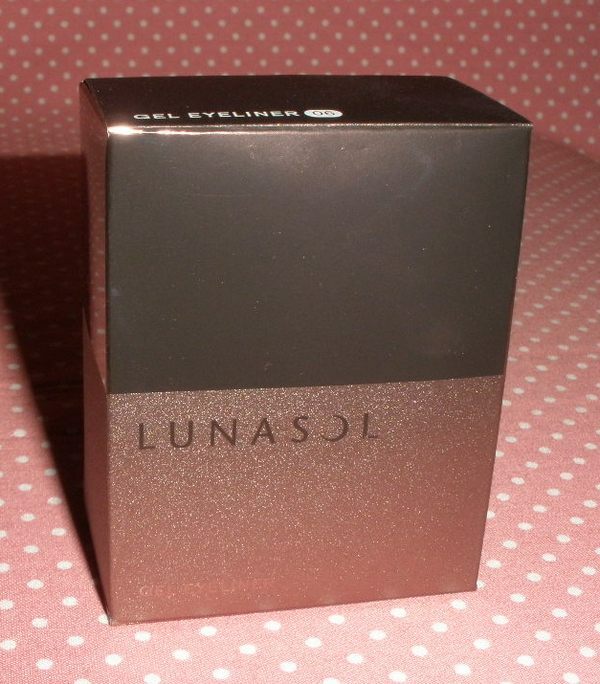 I found it pretty decent and the price wasn't bad. It's near to the metro station so it's easy to commute. I explored HK by myself for 4 days since my husband had to work. People there are very helpful and friendly. :) You'll have lots of fun. Oh gosh I really want this in Olive Green. What do you think, Kathi? Is it any better texture wise than say Bobbi Brown? It was quite affordable for such a luxurious hotel. Beautiful views and a great pool. The subway station was down the street, which itself was only 1 stop from Caseway Bay. Next time I think we will stay on the otherside of the bay, Mong Kok is more fun. You absolutly have to visit the Chi Lin Nunnery and its gardens. Breathtakingly beautiful! Best restaurant: I you like Dim sum you will love http://www.dintaifung.com.hk/ in the silvercord mall (lots of i.t. stores also) on Canton Road opposite Harbour City Mall.